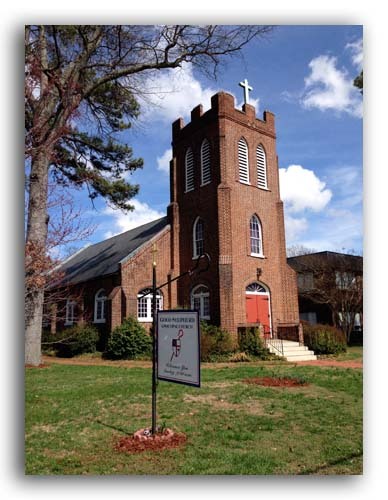 On November 15, 2018, the Episcopal Church of the Good Shepherd became 110 years old. On February 12, 1908, a group of residents in Forest Hill, which was outside of the city limits of Richmond, met in the the little school house on Forty-first Street to consider the organization of a new church. The Right Reverend A. M. Randolph, D.D., Bishop of the Diocese of Southern Virginia, presided over the meeting. In June 1908 the organization of an independent congregation was approved and the name “Church of the the Good Shepherd” was adopted. A church building was erected at the corner of Forest Hill Avenue and 43rd Street and the first service was held on November 15th, 1908. The church is a copy of the “Isle of Wight Church,” which is recognized as one of the most beautiful small churches in Virginia.